E-lyte Balanced Electrolyte Concentrate is a dietary supplement that cleans and replenishes the blood by balancing the essential electrolytes, which is vital. Purchase this product now and earn 2,870 Reward Points! 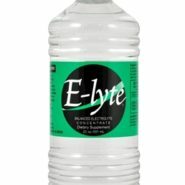 The recommended dosage of E-Lyte Electrolyte Concentrate is ½ an ounce of concentrate to 8 oz. of water, or 8 ounces into 1 gallon of water or milk. Drink an 8 oz. serving 1-2 times daily, or as directed by your physician or HCP. There are 40 servings in one 20 oz. bottle of E-Lyte Electrolyte Concentrate. One bottle makes 2 ½ gallons of finished electrolyte drink. One bottle will last for approximately 20 to 40 days. 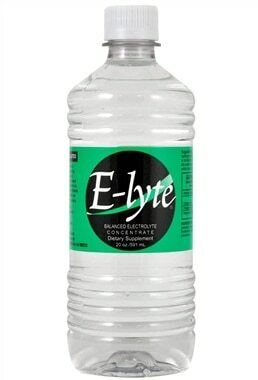 E-Lyte Electrolyte Concentrate can be mixed with water or milk. Milk provides Calcium, the last of the important macro electrolytes. You can also pour 2-3 capfuls of concentrate into already cooked soups, broths, stews, or any food you’d normally add salt to. Do not cook with E-Lyte Electrolyte Concentrate, as the heat of cooking tends to reduce the magnesium content. Add it in after cooking. Many sports drinks & most fruit juices can carry a strong acid pH, which changes the pH of E-Lyte Electrolyte Concentrate and is best not be used together. The high sugar content precipitates (removes) the alkaline macro minerals out of solution before the body can use them. Plus, it doesn’t seem to taste right. You generally would not salt fruit dinks. E-LyteSport was designed for athletes & has a higher sodium content for high performance, since athletes tend to use up electrolytes rapidly during intense activity.